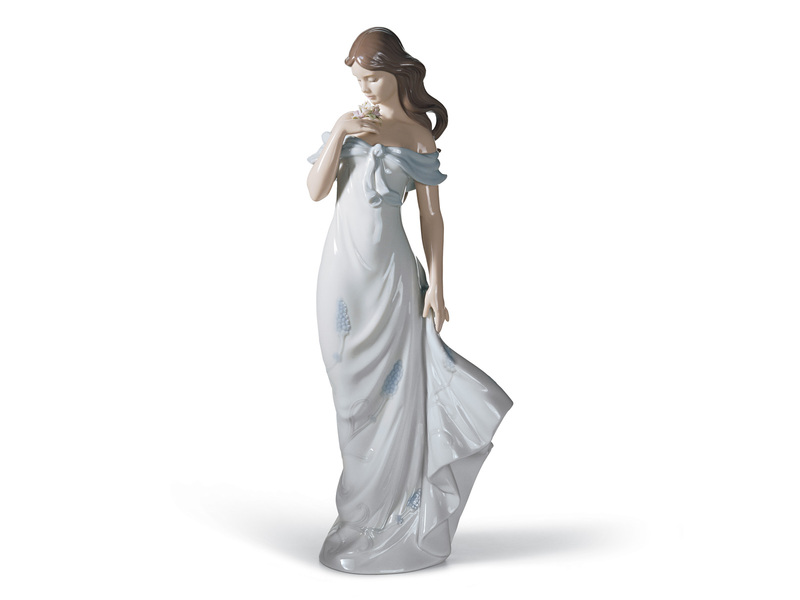 This porcelain figurine of a beautiful lady standing with her white dress flowing the the breeze alongside her brunette hair is the perfect gift to a partner, family member or friend. 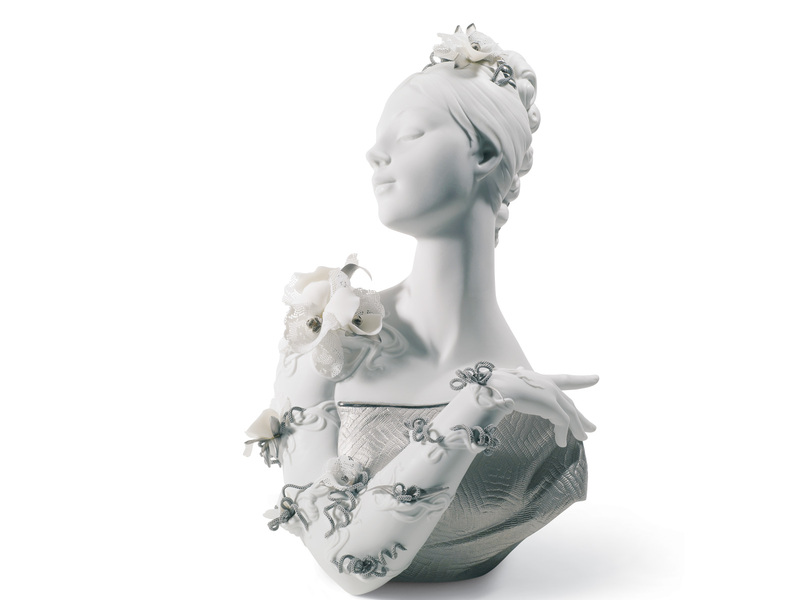 The focal point of the piece is the intricate flower she is admiring, its pastel pinks, yellows and greens perfectly combine with the pale blue hues of her dress to create a wonderfully elegant piece. 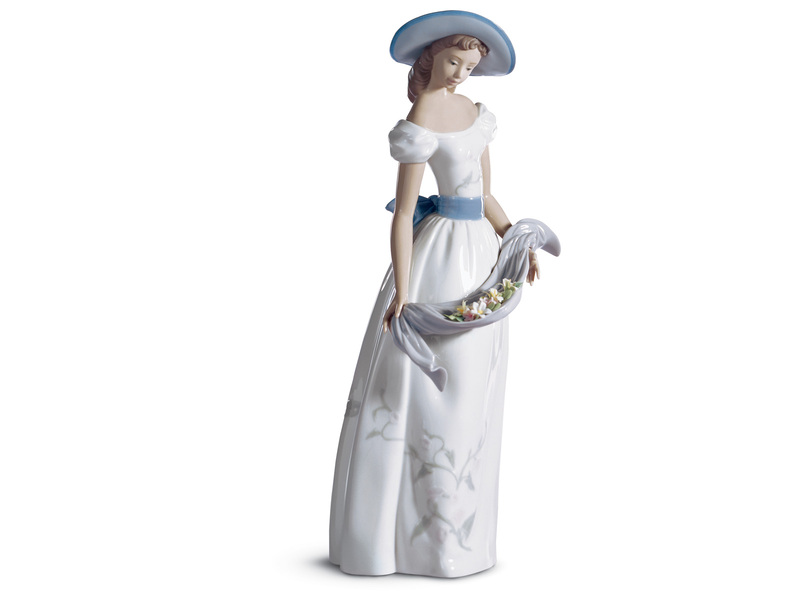 Our Women & Ladies Collection features some beautiful Lladro works, all set in different scenarios, it is the perfect place to find exactly what you need. 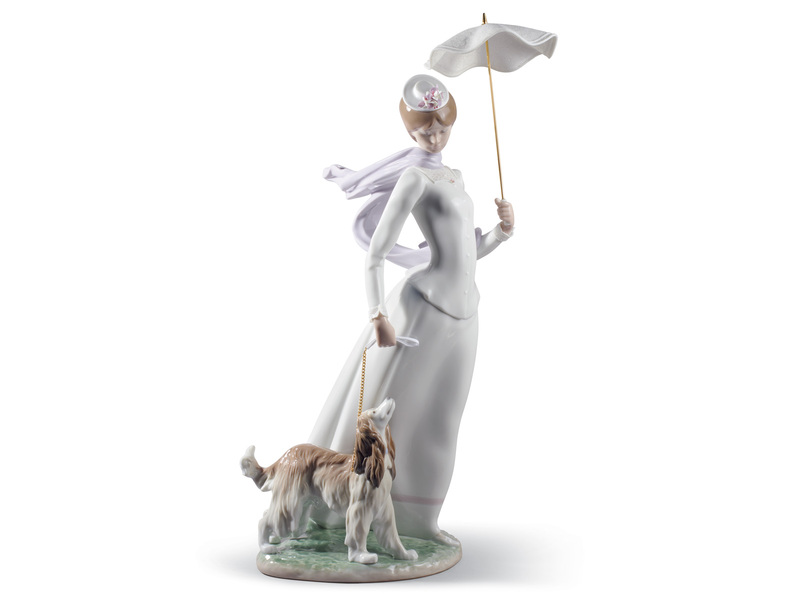 Each piece is lovingly handmade and hand painted & comes with their unique Lladro markings by the Valencia Artisans.